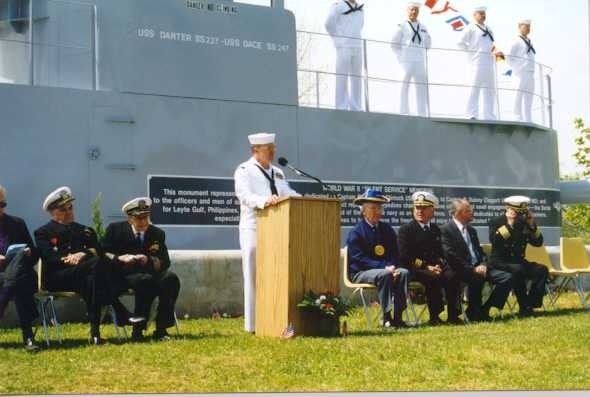 MARQUETTE, MI – There are many ways Americans remember and honor our country’s service members who fought bravely and courageously to keep our country free. In the small, sleepy Michigan town of Marquette, initiatives began in 1998 to recognize the efforts of one of their hometown heroes. Learn More Below about our Superior Hero or visit one of the many sites documenting the battle. The one that stands out most in many people’s opinions is the battle which occurred on October 25th 1994. On this day, a small group of scrappy warriors took on a force many times its size and contributed to one of the greatest naval victories of all time. By October of 1944, the Japanese were becoming more and more desperate to slow down or stop the advancing juggernaut that the US Navy had become in the Pacific. From the ashes of Pearl Harbor on December 7th, a resurgent United States used its massive industrial capability to produce a fleet second to none in the world. The men of Pennsylvania, Kansas, California, and the other forty eight states were indoctrinated into a life as a bluejacket and sent to support the rising tide of ships, submarines and planes. 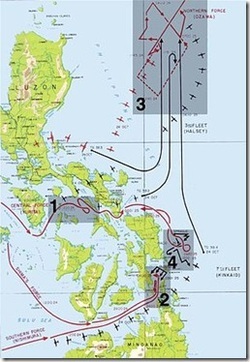 Admiral Nimitz had a large pool of resources to draw from in order to support the steady drive to liberate the Philippines and the pathway to Tokyo. Meanwhile, the Darter and Dace faced a new problem. In the aftermath of the battle, the Darter went aground. 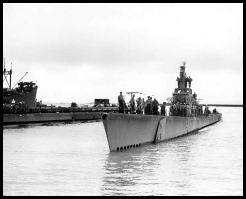 Heroic efforts on the parts of both crews failed to release her from her prison and a decision was made to scuttle her. After picking up the crew, the Dace waited nearby for the expected explosions from the charges meant to destroy Darter. The charges failed and a decision was made to return and use the deck guns to finish the job. While on the surface, radar spotted an incoming plane. All hands were ordered below and Dace barely escaped the explosions that followed. 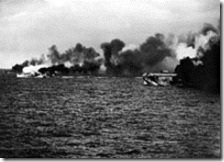 The plane, seeing an escaping submarine, chose to attack the remaining boat. The attack finished what Dace had started. n the end, their fearless determination convinced the Japanese that there must be a larger force on its way and they retreated homewards. 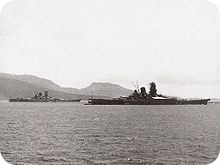 On this day, the Japanese Fleet ceased to exist as an offensive unit. Halsey had destroyed most of the northern fleet, the southern fleet was in ruins and the center force was harassed all the way home. The lessons learned from the action were many. A determined force with a highly skilled and motivated crew can overcome incredible odds with the right leadership. The sacrifices of those men in the face of overwhelming odds will remain a hallmark of the American Spirit.